The team at Publicis Machine, SA’s leading integrated communications agency is fast earning a reputation for creating great television commercials that effectively interpret the client brief, while resonating with consumers. The talented team recently made it onto Millward Brown’s Best Liked Ads Top Ten list for the 4th quarter (2015,) for their brilliant Cremora ‘Derby’ TVC. To make it onto the Millward Brown listing, an advert must be relevant to consumer’s lives, as well as to the brand. This advert, with its slice of life story that taps into the average South African’s enduring love for sport – and more specifically soccer – clearly hit the right spot with its audience, while reinforcing Cremora coffee creamer as the nation’s favourite. The ‘Derby’ TVC formed part of this broader integrated campaign which featured three 30 second television ads, numerous 10 second fillers, outdoor, in-store and a series of Shakes and Sima cartoon strips which ran in print as well as on digital and social media. The campaign highlights the reasons lovers of coffee choose Cremora, showcased in playful scenarios simply dubbed ‘coffee time’, starring loveable character couple Shakes and Sima. The message comes across loud and clear – Cremora is still the favourite choice for coffee lovers in South Africa – a coffee creamer for all occasions. ‘The series of Sima & Shakes was borne out of a strong, collaborative partnership between Publicis Machine and Nestlé. As the brand custodians we wanted to leverage the equity we had established over all the years on the ‘It’s not inside its on top’ line. Our brief to the agency was to bring it back in a fresh, modern and innovative way whilst still paying tribute to its legacy. Publicis Machine did a fantastic job in creating the fun loving couple of Sima and Shakes, with each episode affording the viewer an opportunity to fall in love with couple and the brand. This campaign was evidence of how strong partnerships between client and agency, driven by a common passion and business understanding, is a sure recipe for success,’ says Yovini Moodley, former Category Marketing Manager for Cremora. Millward Brown’s Best Liked Ads list celebrates South Africa’s favourite TV commercials. They are a true measure of all new brand commercials flighted, with each ad being tested against a weekly sample of 200 people, recruited from major metropolitan areas with strict demographic quotas to ensure a good representation of the TV viewing population. 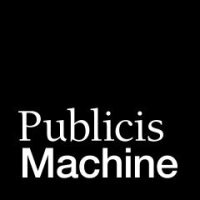 Publicis Machine is an integrated communications agency and home to 200 adventurous minds that combine incisive strategy, award-winning creativity and cutting edge technology to transform their client’s business. The agency is represented in both Johannesburg and Cape Town and features additional talent across six specialist pillars: Narrative (content marketing), Incentiv (loyalty and rewards), Answered (research), Moon Walk (public relations), Nurun (technology specialist) and Publicis Healthcare.